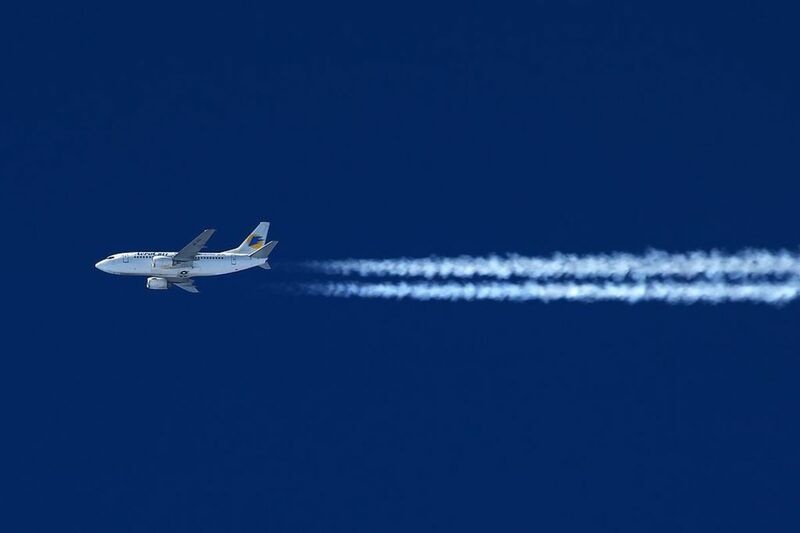 The world of flying objects is extremely vast and the machines that power these objects are extremely complex. The experts have thus segregated engines into 3 main categories. They are, the Turbo Jet Engine, the Turbo Propeller Engine, and the Ram Jet Engine. The Turbo Jet and the Turbo Propeller engines are quite similar except the fact that Turbo Propeller has a propeller attached to the Mechanical Turbines which is responsible for 90% of the thrust provided by the engine. The rest 10% is from the expansion of the gases in the combustion chamber flowing out through the exhaust nozzle. 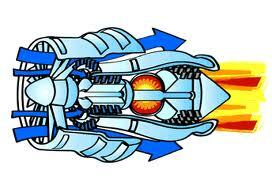 The Ram Jet engine is a different class of engine that cannot be operated at low speeds since it has no moving parts. 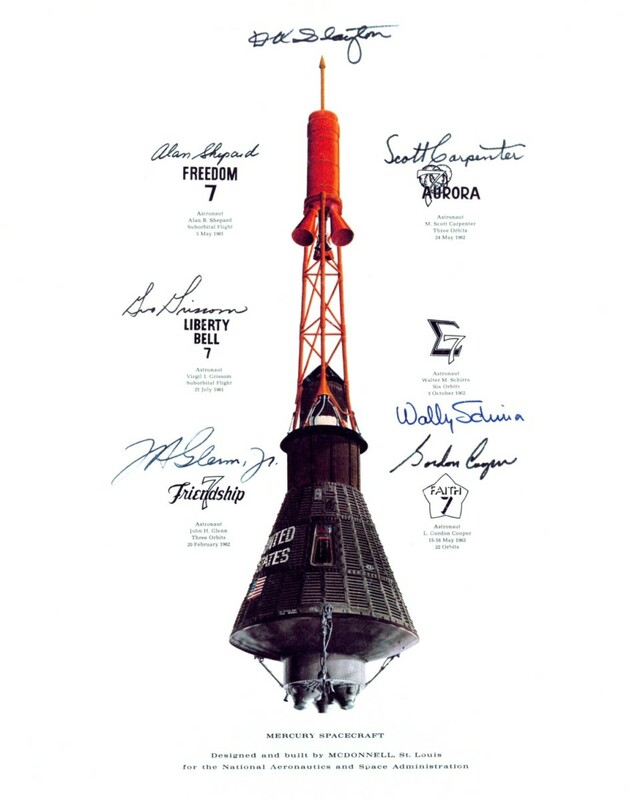 It is one of the easiest engines to build and can be mass produced. These engines can be only operated at speeds above Mach 1.5 and is extremely inefficient at lower speeds. A proper functioning of the other two engines will be explained by me in another hub. Following is the proper structural content of the Turbo Jet Engine with its function. Hope you guys will like it. I have also tried to link a video that explains the working graphically. The Turbo Jet engine is a wide bodied engine made of titanium alloys for the strength and resistance to extreme temperatures. The body of the engine is designed in such a way that during flight, the air flow inside the engine allows natural cooling of the engine and reduces the energy lost to combat lubrication problems. The body of the engine is casted using sand moulds with great precision. A single engine of an airplane costs $7-$8 million to build from start to finish. This is one of the most common type of air breathing engines.It consists of a diffuser, a mechanical compressor, a combustion chamber, mechanical turbine and an exhaust nozzle. These types of engines are mainly used in commercial and cargo aircraft and are less preferred for use in fighter jets as these operate at far lesser speeds and generate huge amount of torque. The Diffuser : The Diffuser is a low pressure circular vent that is responsible for converting the kinetic energy of the atmospheric air into a static pressure rise. The pressure of the atmospheric air is high thus this air flows into the vent where it gets reduced in volume thus increasing its pressure. This intake air is then fed to the compressor. 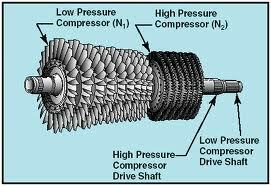 The Compressor : The compressor found in Turbo Jet engines are usually rotary compressors. The rotary compressors are compressors that generate high volume of air at a low pressure thus having a lower pressure ratio compared to the reciprocating compressors. The air intake from the diffuser is fed to the inlet of the rotary axial or centrifugal compressor where the air gets compressed in various stages and reaches a high pressure. This high pressure is reached due to the various stages of the compressor adding to the pressure at each stage. The compressor outlet is the inlet to the air-fuel feed nozzle. The Air-Fuel feed nozzle : The air-fuel feed nozzle mixes the compressed air with the jet fuel. The fuel is mixed with a specific air-fuel ratio. This injector nozzle injects fuel at a constant rate in the combustion chamber where it is burned to form high pressure exhaust. The Combustion Chamber : This is a chamber where the air-fuel mixture is burned with the help of flame stabiizers. The flame stabilizers keep a constant flame ignited in the combustion chamber to continuously burn the fuel and also ensure that the flame does not go out. The chamber consists of two fuel injector nozzles and the flame stabilizer. The exhaust created in the combustion chamber is passed to the Mechanical Turbine. 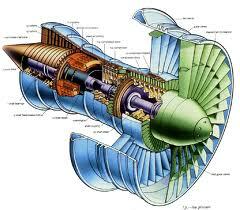 The Mechanical Turbine : The mechanical turbine consists of a rotary element having fan blades. The high pressure exhaust from the combustion chamber strikes the fans of the turbine causing it to rotate. This striking causes the exhaust to expand and lose its pressure. The turbine is responsible for driving the axial compressor. the turbine rotation is connected to the rotor of the compressor with reduction gear. This causes the compressor to rotate. The exhaust nozzle from the turbine blades is further passed to the exhaust nozzle. The Exhaust Nozzle : The exhaust nozzle further expands the turbine blade exhaust and is responsible for the thrust of the airplane. The exhaust nozzle produce enough thrust to drive the plane forward. The exhaust leaves the nozzle with a velocity larger than the flight velocity. The turbo jet engine is a continuous flow engine hence a compressor and a turbine is used to provide additional pressure rise which is not obtained in the Ram Jet Engines. The specific weight of the jet propulsion engine is 1/4 to 1/2 of the reciprocating engine. 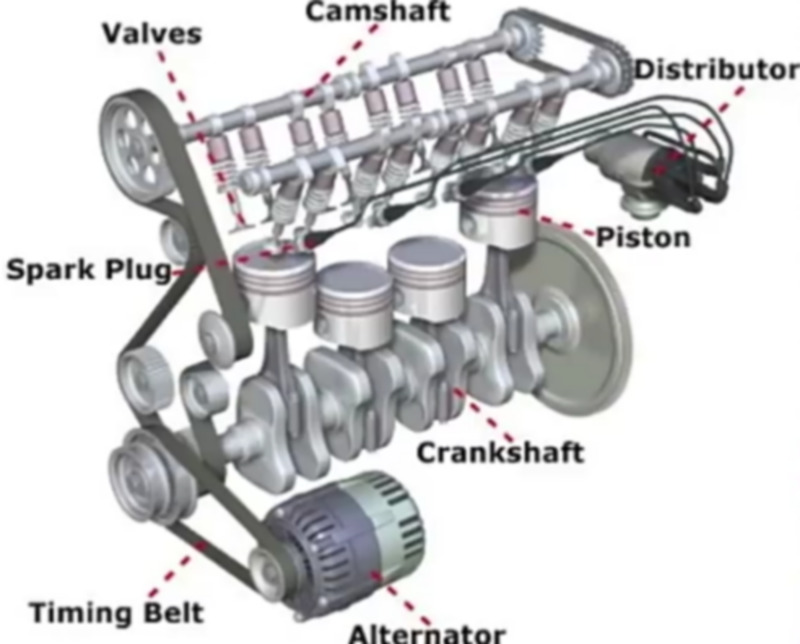 There are no reciprocating parts and therefore the engine is free from unbalanced forces. The jet propulsion engine has a small frontal area and a better aerodynamic shape. 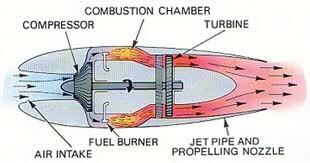 The speeds od the jet engine is not limited by the propeller hence high speeds can be obtained. The continuous combustion gives continuous thrust. 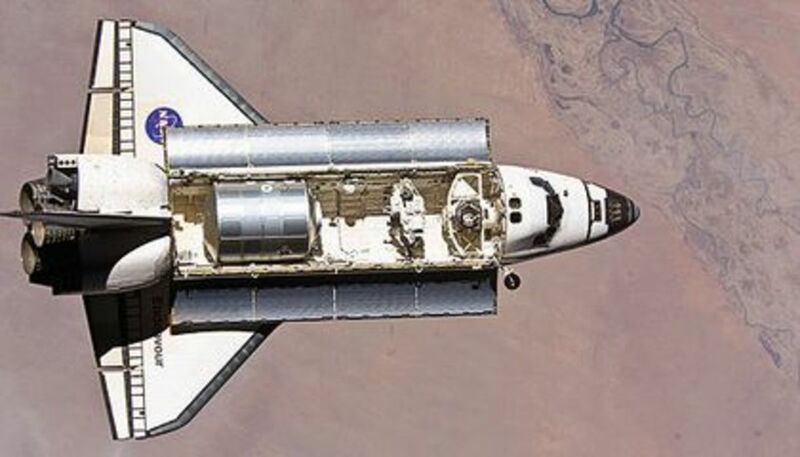 The Engine though has some disadvantages like it is quite noisy in operation and at low pressures, the thermal efficiency is lower hence the fuel consumption is 2-3 times of that of the reciprocating engines. Excellent article Akshay, Keep it up. Look forward to more articles from you. Hey nice one matey!! Helped me complete a project on this topic...thanks again! !